*If you RSVP and do not attend the event, you will be charged $40. Please contact Samantha Low (415.398.1398 x 103), if there are questions about this event. Please click here for RSVP form and flyer. After 25 years at our Pine Street location, ASIAN, Inc. has moved to its new home at 1167 Mission Street. You are cordially invited to our Open House, where we will be showcasing our new office space and new programs. Please join us and the many friends of ASIAN, Inc. for food, drink, conversation and entertainment to celebrate a new chapter of our history in San Francisco. Department of Transportation invites you to attend an outreach meeting for the MacArthur Maze 580 Connector Emergency Project. The outreach meeting is a networking opportunity for you to meet with potential prime contractors and to market your firm to them. 1800 Powell Street, Emeryville, CA 94608, (510) 658-9300. Click here to download invitation letter. Why should AAAE members be interested? What are the Incentives from the Government? **We only have 50 spaces for this Event, therefore, please RSVP at your earliest convenience. Why: Join us for an evening of inspiration, networking, food and spirits! Celebrating 10 years of service to Asian businesses throughout northern California. Sylvia founded Kwan Henmi Architecture/Planning, Inc. in 1980. Her projects contain sustainable design components: Moscone West Convention Center, The Paramount residential high-rise, and AT&T Park, home of the San Francisco Giants. Sylvia's personal recognitions include being named among San Francisco Business Times 75 Most Influential Women in Business, the American Diabetes Association's Woman of the Year, Asian Women's Resources Center's Outstanding Asian Woman Award, and the Asian Business League of San Francisco's 2000 Award for Achievement in the Business Community. I got a rude awakening as soon as I arrived on the island for Survivor Fiji: my natural friendliness, leadership capabilities, and intelligence -- all traits that have made me successful in daily life -- turned out to be danger signs for me in the eyes of my tribemates. They want non-threatening, unassuming women, not strong and capable ones.I was a woman who was a leader (bossy); intelligent and educated (uppity), and most likely wealthier than them (She doesn't need the million dollars!). Why did I agree to join this show?! Sign up for free membership until the end of 2007 and receive a rental car discount with Enterprise Rent-A-Car! Network with business owners, other business associations and corporations! The Asian Business Association of Silicon Valley (ABA of SV) was founded in 1995 to serve Asian American small businesses in the surrounding five-counties of the bay area: Santa Clara, San Mateo, Alameda, San Francisco and Santa Cruz. Promoting the concept of a stable and thriving economy, we collaborate with business owners, other nonprofits, public sectors, private corporations and other interested parties to gain access to economic advancement through involvement, education, and community representation. Caltrain, 1250 San Carlos Ave. The Peninsula Corridor Joint Powers Board Invites you to be a part of Caltrain's future. Over the next 10 years, Caltrain will allocate nearly $1 billion on capital programs.Â Our DBE Outreach Program is an opportunity to learn about upcoming projects, meet key Caltrain staff and discuss business opportunities with our prime general engineering consultants: HNTB, Parsons Transportation Group, and Parsons Brinckerhoff. Tuesday, June 26, from 9:30 a.m. to 1:30 p.m. Seating is limited.Â Please e-mail or call (650) 508-7737 for registration or more information. The focus of this event is to offer the small business community--and in particular the disadvantaged business enterprise community--an opportunity to meet with us and hear about upcoming projects that we have planned for the next two years.Â The intent, of course, is to develop relationships that are mutually beneficial. Your participation isÂ encouraged.Â Please plan to stay for the entire program and network with key members of our team. The Asian American Contractor's Association is presenting an afternoon picnic event in Golden Gate Park featuring leading green builders and architects along with speakers from the Albert Group, the architectural firm, Kwan Henmi, and Assistant President pro Tempore Senator Leland Yee. More vendors and speakers will be added. This event is sponsored by the Asian American Contractor's Association. On Tuesday, July 10, 2007 (4:00pm - 6:30pm) the Toll Bridge Program, Caltrans, District 4 will host a Contractor Outreach Event for Small Businesses and DVBES for the Oakland Touchdown 1 construction contract. This event is a follow-up to our first outreach event that took place on March 29, 2007. The purpose of this event is to give small businesses and DVBEs an opportunity to network with MCM Construction (MCM), the apparent low bidder for the Oakland Touchdown 1 construction contract. 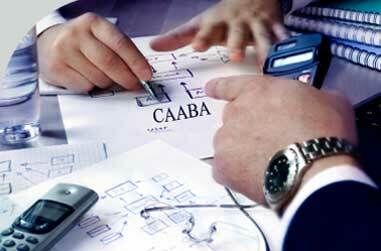 This event will insure that small businesses and DVBEs have the opportunity to network with the apparent low bidder so, in the event the contract is awarded to MCM, there will be timely access by small businesses and DVBEs to the prime contractor before subcontracts and supply contracts are negotiated. The networking session format will provide participants the opportunity to meet one-on-one with MCM representatives. During registration, small businesses will sign-up for 5 minute timeslots with MCM staff that represent a particular area of need. We encourage small businesses and DVBEs to bring with them to the event: 1) business cards; 2) marketing material for your business; 3) information about your work experience and contract values of past contracts your have successfully executed; 4) client references; 5) information about your bonding capacity (if applicable) and 6) information regarding your state Small Business or DVBE certification status. Parking is located adjacent to the Stockton Grand Hotel with plenty of parking for guests and visitors. There is no charge for parking. Handicap parking is close to the hotel entrance. ACCESS TO MEETINGS. For individuals with disabilities, the California Department of Transportation, Office of Civil Rights, will provide assistive services such as assistive listening devices, sign-language interpreting, real-time captioning, note-takers, reading or writing assistance, or training/meeting materials in Braille, large print, on audiocassette, or on computer disk. To obtain such services or copies in one of these alternate formats, please contact the Morris Caudle at, (559) 444-2585. Fred V. Abadi, Ph.D., Director of Public Works, San Francisco DPW Do you work for The City? Here's your chance to talk to DPW about what you want from them & they can do for you!!! Russell Snyder, District Manager Associated General Contractors of California AGC is the nation's largest and oldest construction trade association. Learn what they are already doing for you in The City, and in Sacramento, and the many resources they have available. Guest:	Michelle Leu Zaccone Carr, McClellan, et al. Whether you're a sub, or a prime, in private work or public jobs, this is advice you can't afford to miss! How often do you get a chance at hundreds of dollars worth of FREE legal advice????????????????????? Fundraising Endowment for Asian, Inc.
Due to extremely high demand, there are only 80 slots! Spaces will be held only upon receipt of payment by August 31, 2007. This is the first workshop that will be offered as part of Caltrans’ Toll Bridge Small Business Education and Training Program (SBETP). The SBETP will consist of a series of classes, designed to provide those small businesses in construction and professional services with relevant information to prepare them for public works and State construction contract opportunities. Ingrid Merriwether, President and CEO of Merriwether & Williams Insurance Services is the workshop instructor. Ms. Merriwether has over 27 years experience in the bonding and insurance industry, and has created successful bonding assistance programs for entities including the City and County of San Francisco, City of Los Angeles Community College District, and the Port of Oakland—facilitating over $221 million in bonding for small contractors. Ingrid also teaches insurance courses to new and small business entities. The workshop is provided at no cost to participants, but space is limited. 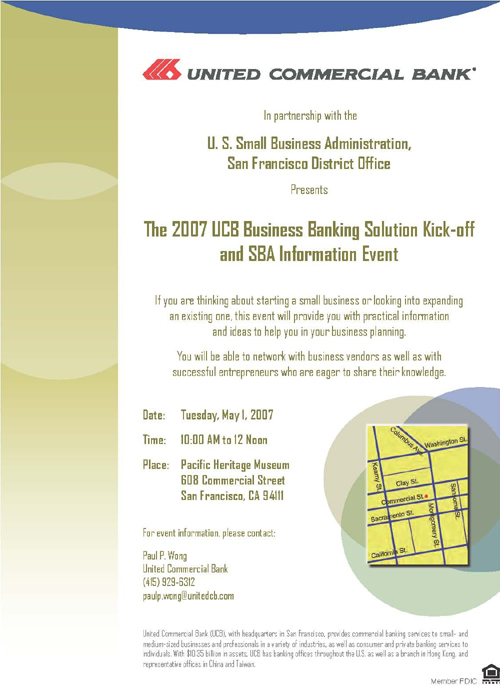 To register, go to www.baybridgeinfo.org/smallbusiness/ and fill out the online registration form. General bid information will be provided on 30 projects with anticipated advertisement dates through March 2008 and involving over $450 million in construction costs.